Windows and Doors to Suit your Style. With one chance to get it right, Vinyltek provides options that work. Each of us have our own Style, some are unique and some are mainstream, we at Vinyltek embrace all tastes and will cater our windows to fit your preferred style. Vinyltek provides functional options through the many window types available; the EuroTwist, for example, is Vinyltek’s new tilt & turn window. It provides any space with originality and interest. Colour choices are essentially endless with Vinyltek. Although we generally show a handful of the most popular colours, we’re able to colour match anything out there. For those love the warm look of wood, we have a couple options there as well. 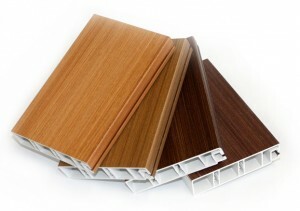 Have a look at DoubleNature and Cypress options and see the wide array of possibilities available. Whether Classic, Contemporary, Heritage or uniquely different our Window Experts will help guide you through our product offerings.